Kick off Memorial Day Weekend with Scientific Controversies 11! Expect a “consciousness bonfire” in the garden until late, telescopic views of the summer sky, and general Memorial Day good vibes. Experientially, consciousness is a subjective, internal movie, a virtual reality of the mind – the most elaborate virtual reality, replete with images, sounds, smells, tactility, memories. Conscious entities can invent, imagine, visualize and dream. The existence of consciousness seems to qualify as a scientific fact. After all, I observe my own consciousness. But is the observation just an illusion? Is consciousness reducible to elementary biology? Or is consciousness itself somehow fundamental or even universal to every material thing? There will be beer and wine to alter your consciousness and Hometown Bar-B-Que will have old-fashioned Memorial Day grub for sale in the garden. Oostrik and Dikker’s collaborative work the Mutual Wave Machine is an interactive neurofeedback installation. 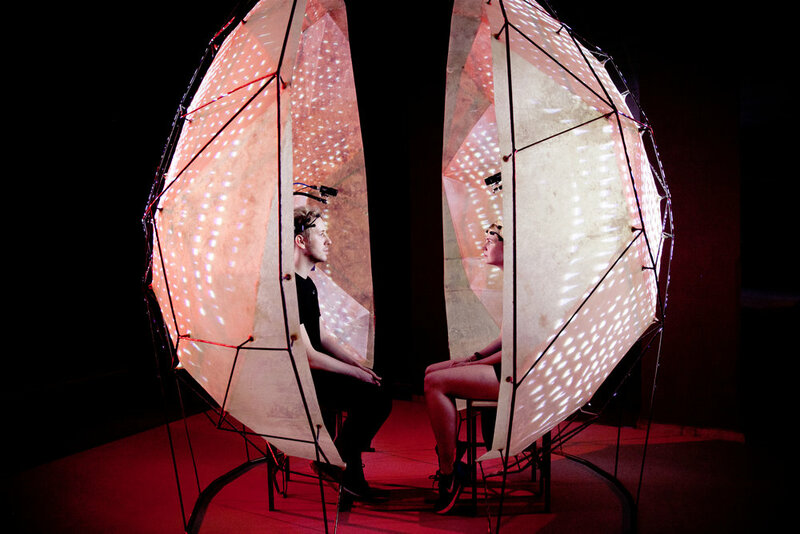 Enclosed by an intimate capsule and immersed in an audiovisual environment that responds and reflects their shared brain activity, two visitors can directly experience and manipulate their internal efforts to approach or distance themselves from each other. This project was supported by Science Sandbox, a Simons Foundation initiative dedicated to engaging everyone with the process of science.